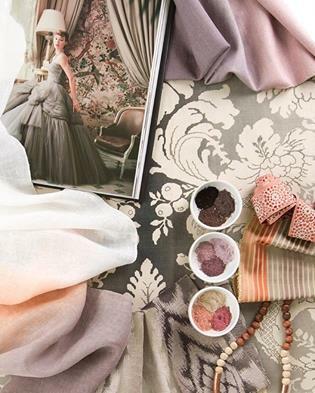 Welcome to Glendora Interiors' "Design Corner": Glendora Interiors "Play on Grey"
Welcome to Glendora Interiors' "Design Corner"
"You Must Love It to Live It"
Glendora Interiors "Play on Grey"
This Grey tone on tone classic elegant damask wallpaper is paired with soft purple-rose fabrics.....then a surprise touch of the natural flesh-peach-cream tones makes this color palette a gown inspired beauty! Let's dress you up in your style! Copyright 2011 Glendora Interiors. Simple theme. Theme images by enjoynz. Powered by Blogger.